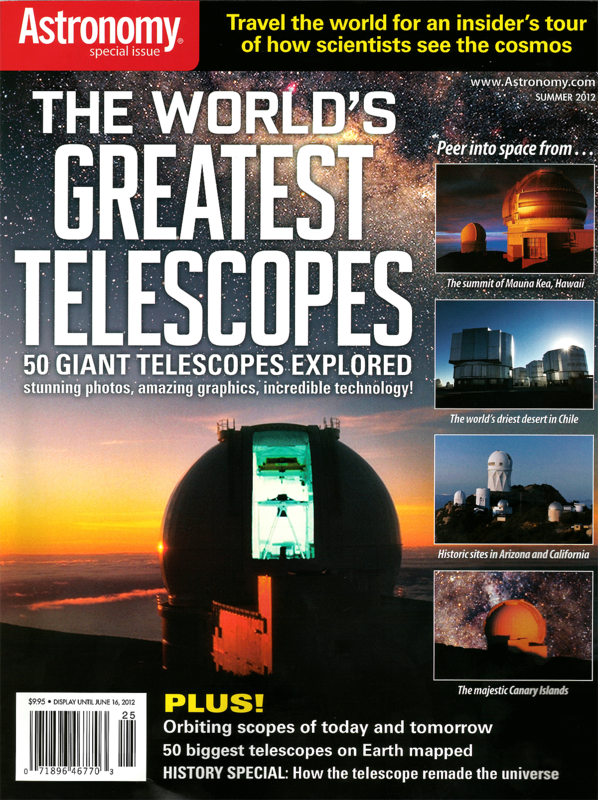 The William Herschel Telescope takes pride of place on the front cover of Astronomy magazine's special summer 2012 issue. This issue is a picture-packed guided tour of the world's major observatories, highlighting the beauty of the locations as much as the scientific achievements. It includes an article about the Roque de los Muchachos Observatory on La Palma, written by ING staff Chris Benn, Javier Méndez and Marc Balcells. Front cover of Astronomy magazine's special issue on the world's greatest telescopes, summer 2012.